Pregnant is the happiest moment for women but some of them are having difficulty to get pregnant. One of the solutions is by consuming pills to help get pregnant. So, what kind of pills do you have to consume to get pregnant? The reason why you have to take Clomid is that the pill has been used for many years. The function of the pill is to trigger your body to have normal ovulation process. The compounds work to block estrogen and at the same time, it helps your body to release GnRH hormones, hormones which trigger follicle or FSH hormones, and LH or Luteinizing Hormones. Those hormones help your ovary to produce eggs. The pill is prescribed if your doctor suggests you to take fertility programs to get pregnant. Later, you must consume Clomid while following reproduction technique programs or insemination programs. While following the fertility program, you have to consume the pill for about 50 milligrams a day and it has to be consumed for 5 days. The doctor will ask about the period time first because the pill is consumed on the third, fourth, or fifth day after the period time. Commonly, you can see the result after 7 days in which the ovary starts to ovulate. If the program is successful, the doctor asks you to consume clomiphene less than 6 months. If it is not, the doctor suggests increasing the dosage up to 150 milligrams a day for a month. The case that there is no positive reaction after half a year program, the doctor suggests you take a different type of pill or to consult with an infertility specialist. 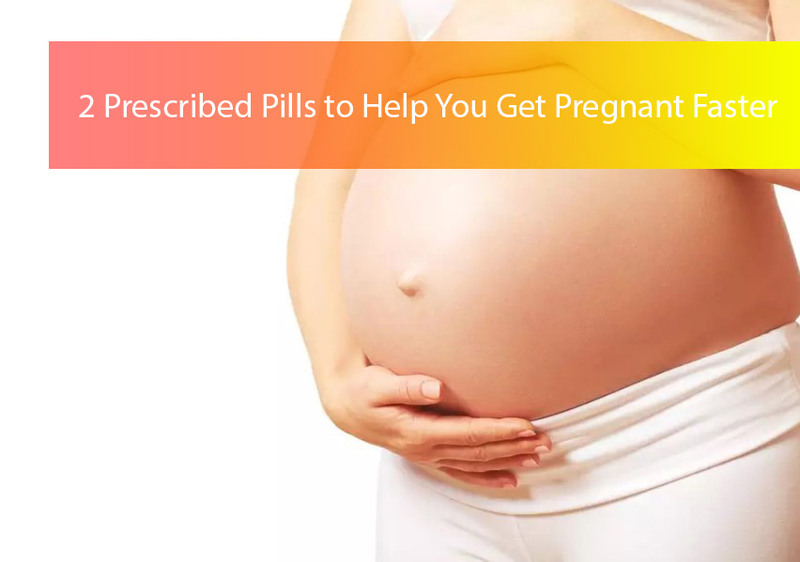 Gonadotropins are known as pills to help you get pregnant fast. The pill also works to trigger you to ovulate. Some doctors prescribe Gonadotropin to their clients as an alternative supplement if Clomid doesn’t show any significant result. Commonly, the doctor checks your condition first especially on the level of FSH and LH. FSH and LH are two important hormones for ovulation process. If the result shows that you have a low level of FSH and LH it means the doctor will suggest you consume Gonadotropin. It hopes that after consuming the pill FSH and LH hormones will be increased and increase the chance of ovulation process. The pill is also used for specific fertility programs such as IUI or Intrauterine Insemination program, ART or Assisted Reproductive Technology program because it helps to produce eggs. You have to consume the pill for about three up to six weeks and after six cycles you feel the positive effect. If it is not, the doctor will suggest you increase the dosage first for a few months program. If there is no positive sign, the doctor will recommend you to take a different type of pill or go to the infertility specialist. The success rate of this drug is 15%. Even if you are pregnant, the chance to get twins is bigger. The success percentage depends on your age, health, and the quality and quantity of the sperms. So, don’t lose hope only because you don’t pregnant yet until today. Just go to the doctor and consult about the best treatment or pills to help you get pregnant faster.